Meal prep and clean up are a breeze with the Amana 30 in. 4.8 Cu. 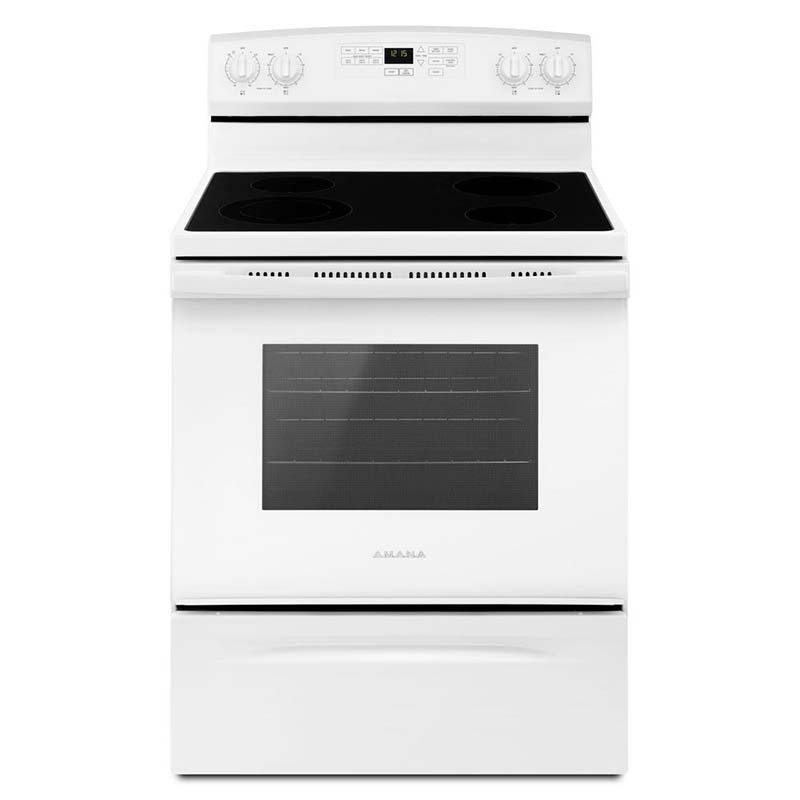 Ft. White Smooth Top Range in your kitchen! Equipped with 4 burners-two 1250-watt elements, one 1800-watt element and one element that can be adjusted between 1400 and 3000 watts-this versatile cooktop provides a level of flexibility you'll appreciate every time it's in use. The self-cleaning oven features an extra-large window, enabling you to keep an eye on your mouthwatering meals and delectable desserts without having to open the door (causing heat to escape in the process).